HASK has been a line that I have been using on and off after being introduced to it last year. If you are interested in reading my thoughts on the two other lines - Argan Oil and Monoi Coconut Oil Hair, simply click those links and you will be directed to them. 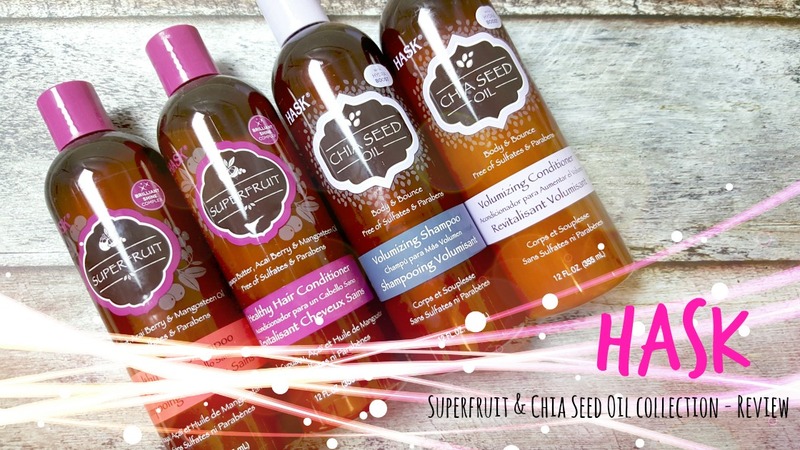 Last month, I was sent the Superfruit and Chia Seed Oil collection to review and I was really excited to give them a go as I really enjoyed the other two collections I had tried last time. Chia Seeds have gained alot of popularity the last few years, I know that I started making chia seed pudding last year and my husband started putting them in his smoothies. I have also recently tried some skincare with Chia Seeds in it and I must say I really love the hydrating component to it. 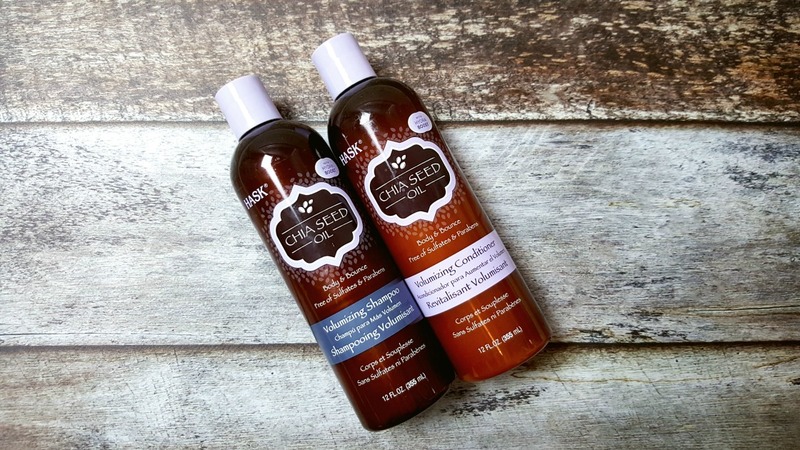 Now, you can try it out in your hair care routine thanks to HASK! The collection is formulated with HydraBoost to enhance and enrich your strands. "Cultivated in South America, the tiny seeds of the chia plant are fortified with proteins, antioxidants, calcium and nutrients like omega-3s to boost shine, increase volume and lock-in moisture without weighing hair down." - as described on their website. Shampoo - the scent is very subtle, it is hydrating and didn't weigh my hair down. My hair looked very healthy and bouncy and it felt thoroughly clean with no residue afterwards. As for the Conditioner - has the same subtle scent similar to the shampoo. It conditions evenly and leaves hair manageable and not tangled. It also does not affect the styling of the hair afterwards. This product is formulated with Brilliant Shine Complex, a conditioning blend that helps to maintain natural shine, fight frizz and restore resilience. This collection is packed with five essential superfruits to hydrate, strengthen and protect your hair strands. The fruits used contain vitamins, anti-oxidants, minerals and fatty-acids! You are literally just treating your hair to a tropical party. Shampoo - LOVE this scent! It is my favorite of the two. It literally takes me to a tropical place and my hair was very shiny, and glossy - super healthy looking. It made it look like I just got a professional blow-out. The one thing though is that I found my hair getting a bit greasier earlier than normal. I was a bit greasy around mid-day, when I usually can last a day (I do wash my hair everyday). As I have ultra thin hair, I do find that my greasiness may be due to the fact that it was just a bit too hydrating for my hair to handle. Conditioner - This is infused with Amazonian Capuacu butter to provide long lasting moisture. This product smells even more divine than the shampoo as it is even more concentrated. This really worked well to cure my fried dead ends from straightening my hair constantly. 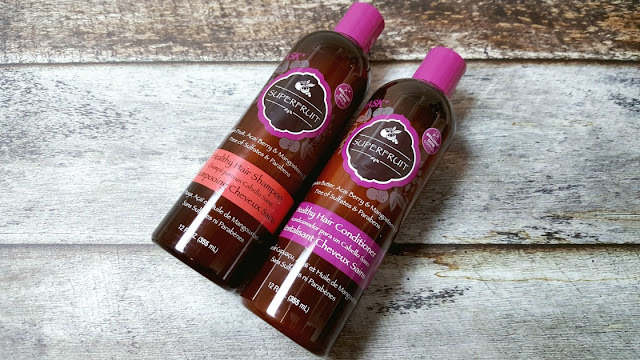 My perfect combo was to use the Chia Seed Oil Shampoo and pair it with the Superfruit Conditioner. Worked out so well! 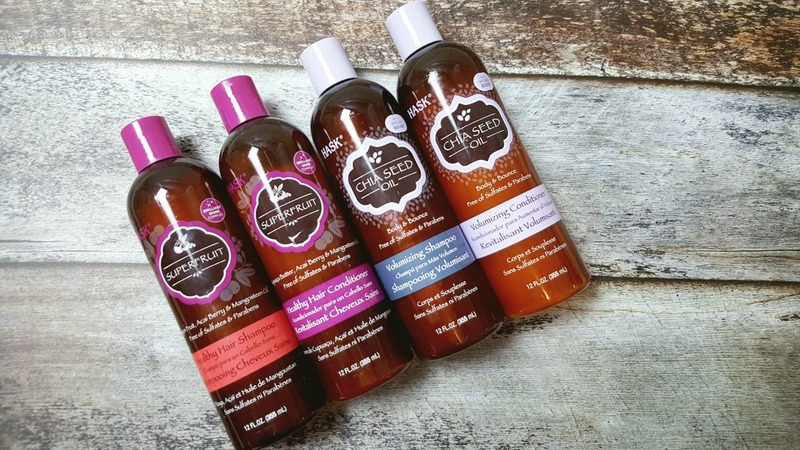 I have been on their site recently and am excited to try out their other lines: Coconut Milk and Organic Honey, Charcoal with Citrus Oil, Kalahari Melon Oil and and Mint Almond Oil.